MDJZ Custom Cutting is a custom sawmilling operation. We are located seven miles east of Howell, MI just off M59. We have been sawing lumber with a Woodmizer Portable Sawmill since 1995. We have been sawing lumber with a Woodmizer Portable Sawmill since 1995. 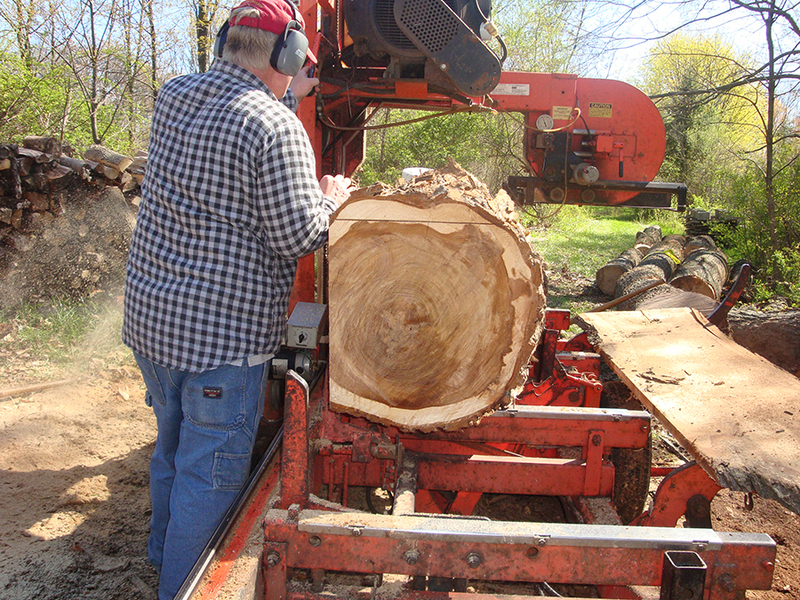 We use a Woodmizer LT40 Hydraulic to saw logs into usable lumber. We like to say we make “pretty” flat sticks out of big round “ugly” ones. We can saw at your location or ours. Considering the cost to load and haul logs, cutting at your location can save you a lot of time and money. We specialize in meeting the needs of our customers. Many of whom are new to sawing and curing lumber. They have large trees on their property that have been cut down for any one of several reasons; storm damage, age or proximity to structures. They may want to make something for their home with the lumber from those trees and we can help with that. 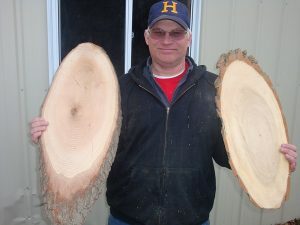 Some of our customers wish to make furniture, flooring or other keepsake items from the trees on their property. We can help with that request and make it possible for you to show your friends and family what items can be made from trees on your property. Even if you do not know what that project is today, we can saw and cure the lumber so it will be ready for you to use at a later date. We like to begin by educating our customers on the proper techniques and methods to convert logs into lumber and help them understand what they can do with the lumber we produce. Whether you are a novice to making lumber or an experienced woodworker we can provide a complete service so when we leave your yard the lumber is stacked and the mess cleaned up. Our Great Uncle worked in the logging camps of Northern Michigan in the early 1900s. He learned to appreciate the potential that logs and lumber have and passed on that passion, respect and love for sawing to us. Trees are a great natural resource and we need to learn to utilize them to the fullest. Trees were a vital resource for our forefathers when they began to build this country and they should be used as efficiently as possible today.